Percy Bysshe Shelley, 1792 -1822. Prometheus Unbound: A Lyrical Drama in Four Acts with Other Poems. London: C. and J. Ollier, 1820. After the Yeats family returned to Ireland in 1880, Yeats attended high school for three years and then, instead of applying for entrance to Trinity College as might have been expected, entered the Metropolitan School of Art in Dublin. His artistic talent, however, could not guard against his continued interest in literature, and he began writing more, basing his work on Edmund Spenser and Percy Bysshe Shelley. 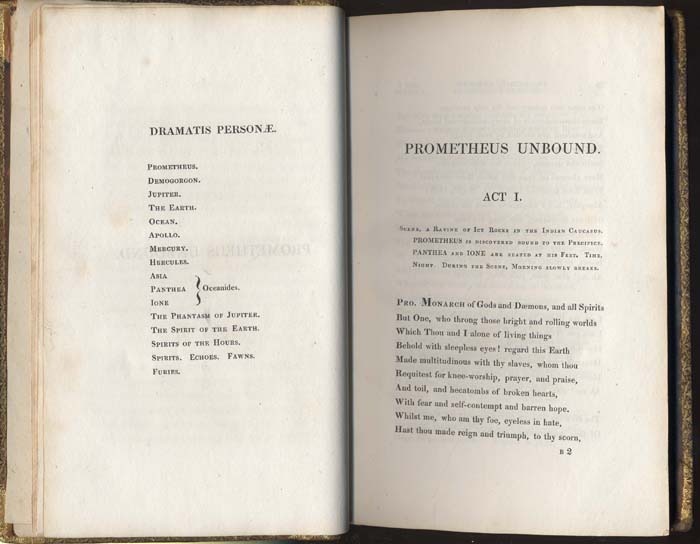 One biographer writes that Prometheus Unbound served as Yeats’s sacred book during his earliest years as a poet. 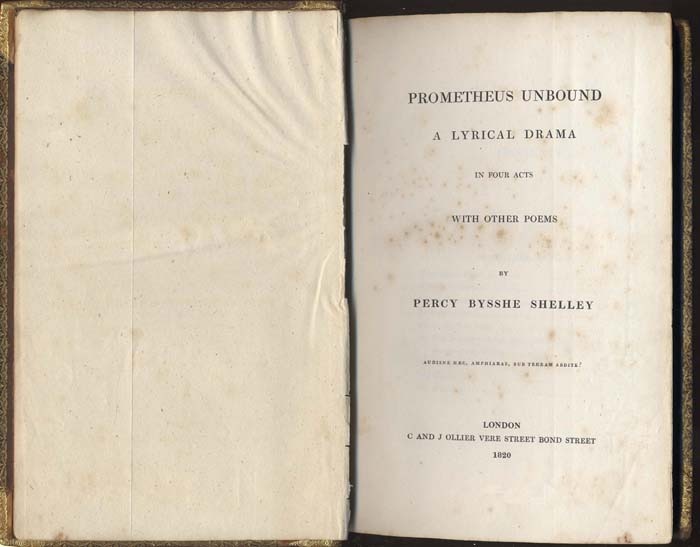 This first edition of Prometheus Unbound contains several additional poems by Shelley and represents one of the earliest literary influences on Yeats’s writing. Life of Percy Bysshe Shelley. 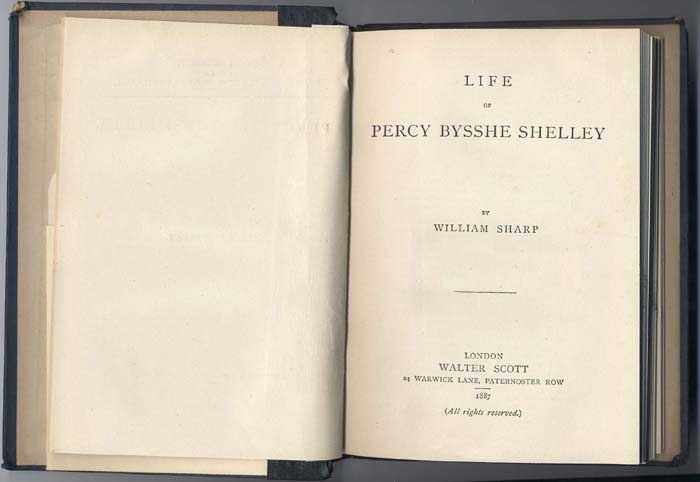 This biography of Shelley by William Sharp was published by Walter Scott in 1887. Sharp met Yeats shortly after Yeats moved back to London with his family. Both Yeats and Sharp admired Shelley’s poetry and aspired to emulate it.